Since tattoo making is an art in itself, it is no surprise that mythical creatures and fantasies form a great portfolio of tattoo designs. Dragon tattoo designs have been very popular and have been seen in many movies, and even a novel “The Girl with the Dragon Tattoo”. 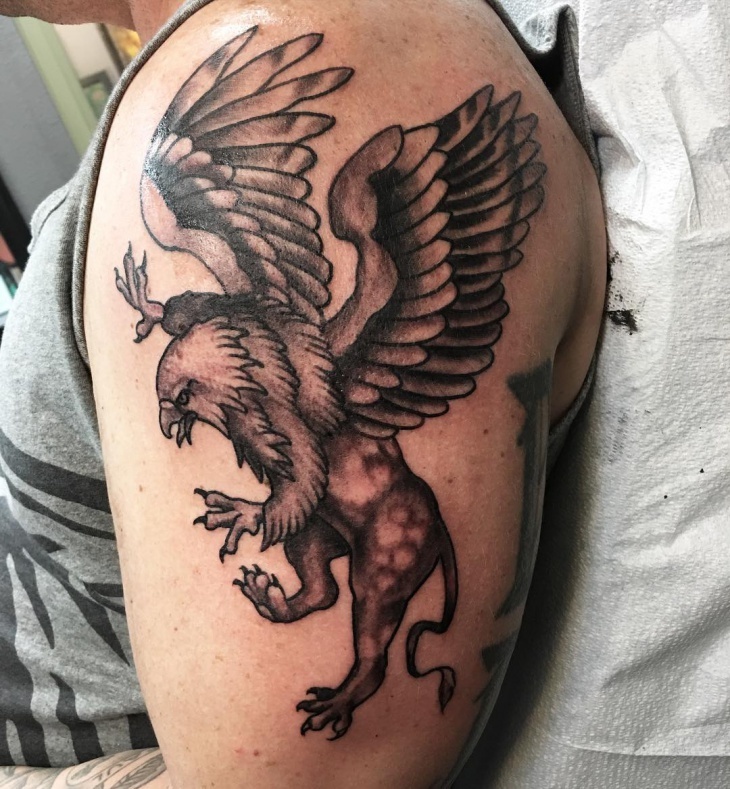 Another such tattoo is the griffin tattoo design,inspired by a mythical creature that has the features of a lion and eagle combined into one, as a symbol for strength and amazing powers. 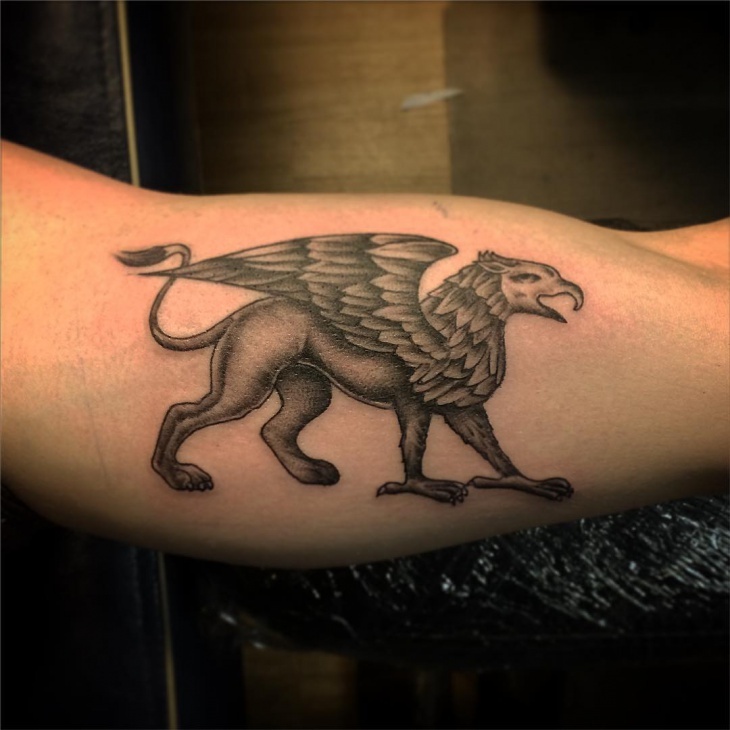 Lion is the king of animals, and an eagle is the king of birds, so it is a two-in-one creature, which you can tattoo on your body like the griffin tattoo designs in this list. 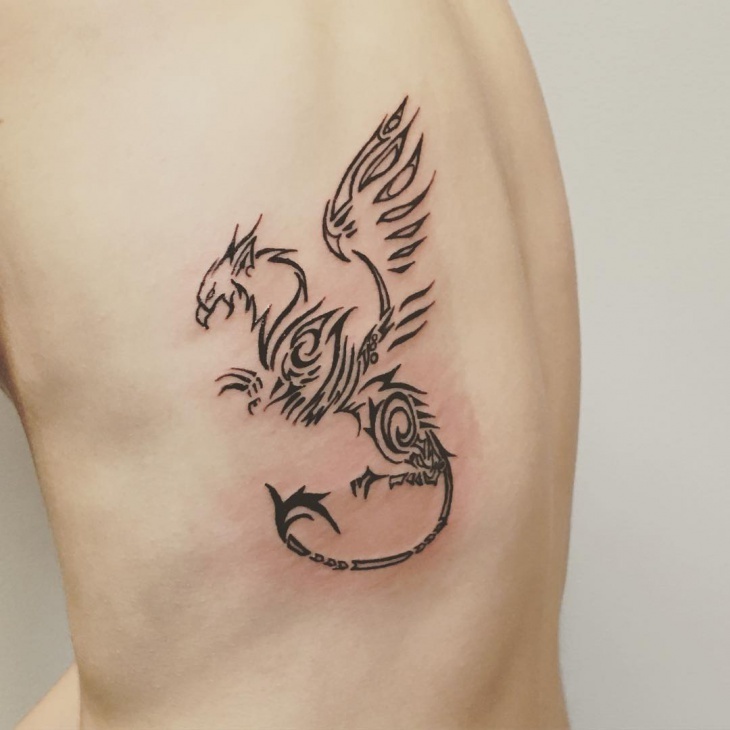 This griffin tattoo design is a variation of the usual one, as it has the head of an eagle and the body of a lion – the reverse of the usual. With its surreal features and an all-black ink, it can be considered a gothic tattoo design. 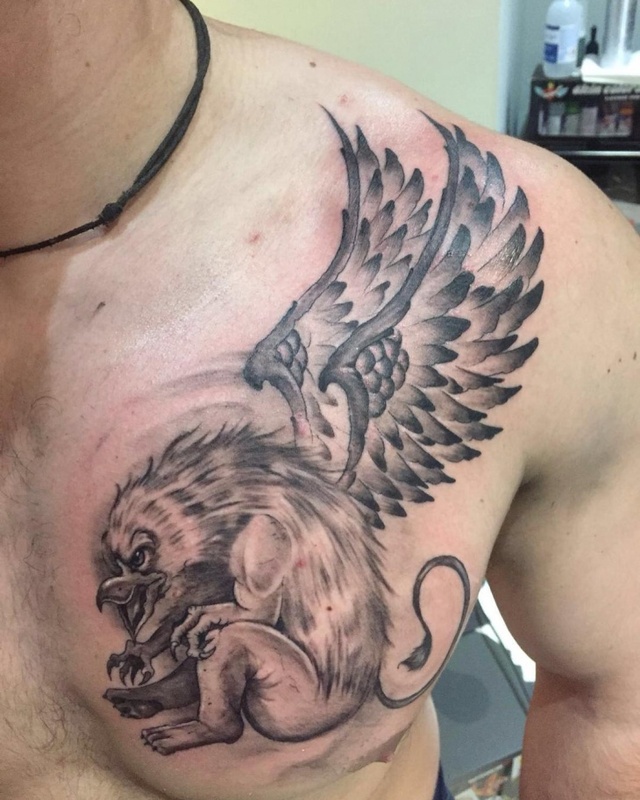 This black griffin tattoo has a 2D form and a combination of tribal tattoo design with this griffin tattoo design. It is simple and cool, perfect for anyone. 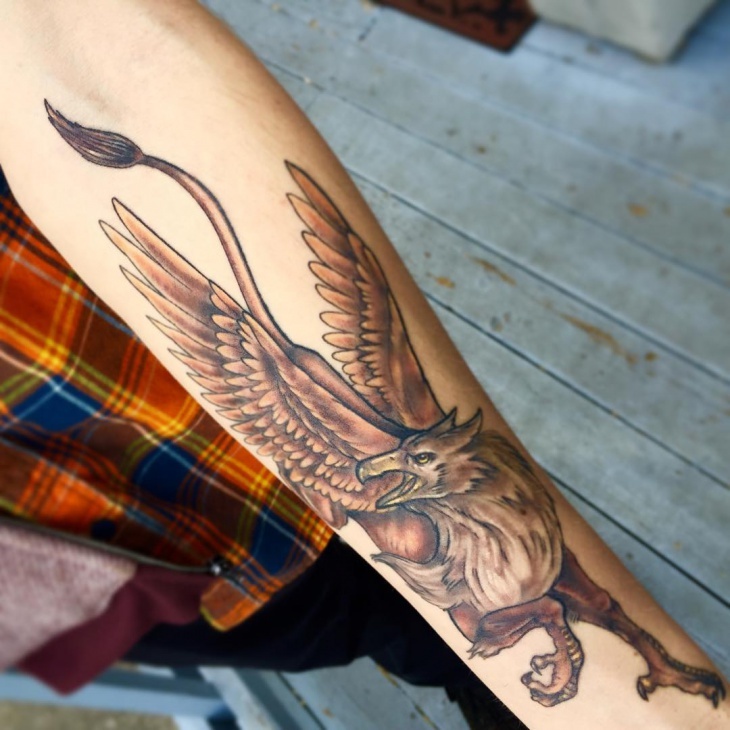 This characteristic griffin tattoo has a very realistic yet surrealistic feel to it. It is like a detailed sketch, so make sure you choose the best tattoo artist for inking this design on you. The griffin also has a human look on the eagle’s impression. 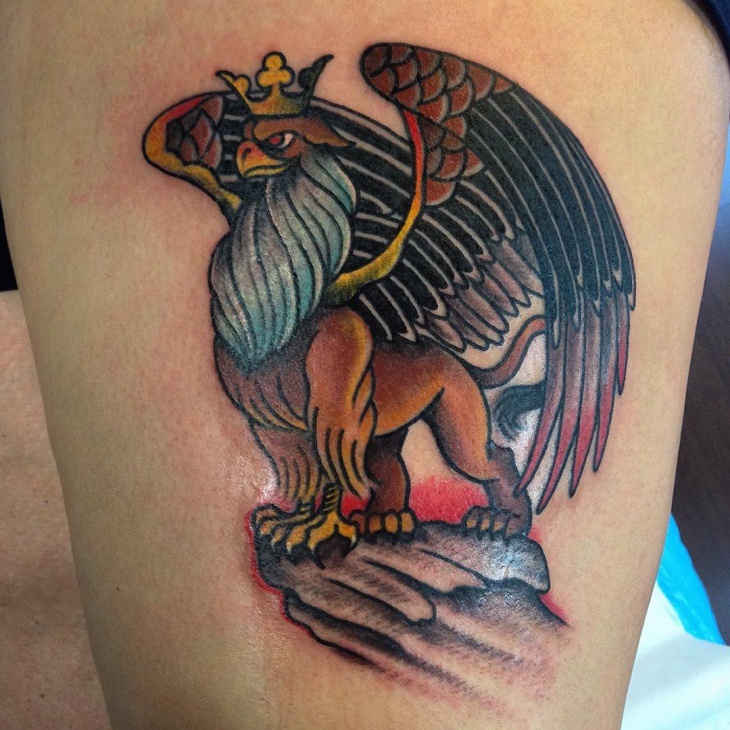 This fierce griffin tattoo is bold and instantly appealing. 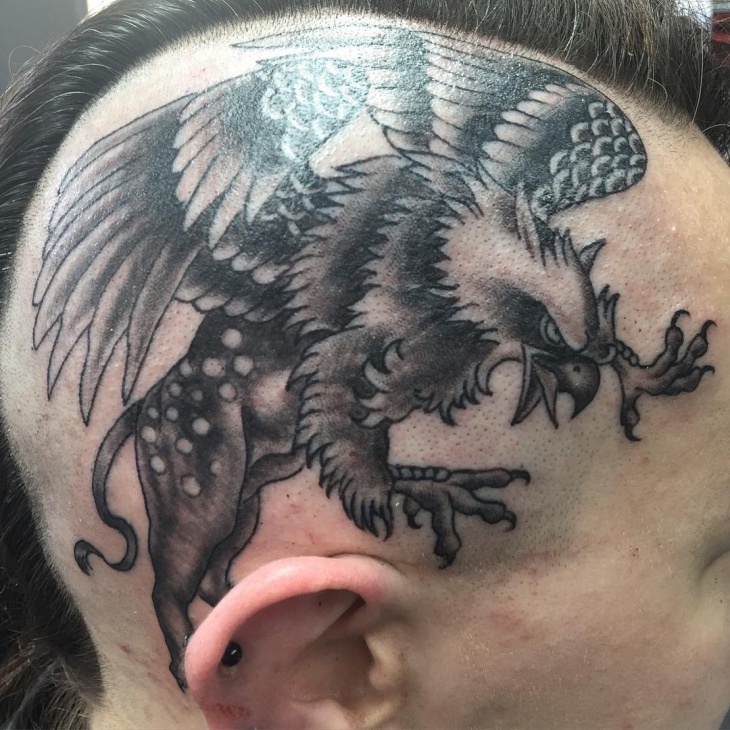 It is a gothic tattoo, especially because shaving the head is not what everyone would be comfortable with, so inking the head is a bigger decision. This reminds me of BeyBlade cartoon! 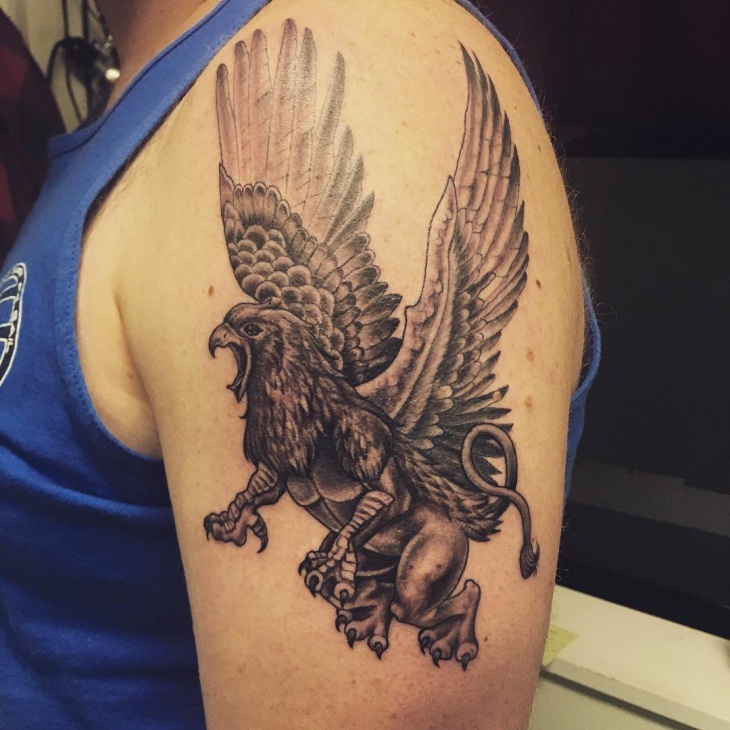 The griffin tattoo design in this picture is a tribal tattoo and has a very good-looking shadow inked beneath the more prominent design. The shadow is its main unique feature, and the details on the character’s tail make it even more interesting. 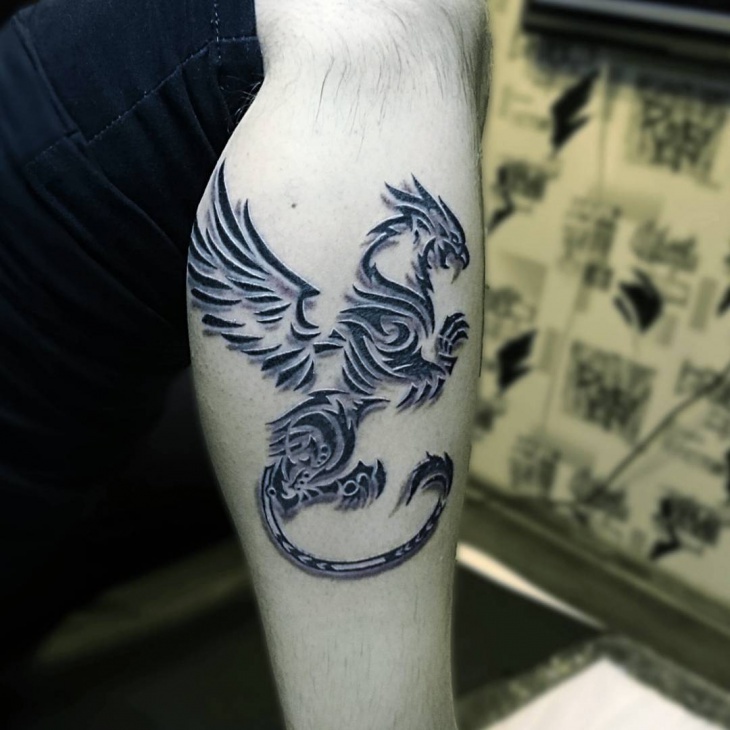 Dragon tattoos are often fierce-looking, but this one is easy on the eyes. 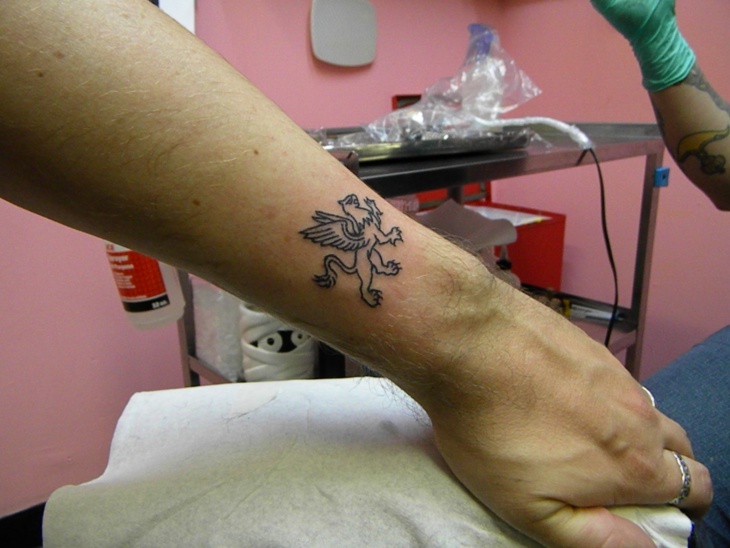 It is a combination of the usual griffin tattoo, cartoon tattoos, and the dragon tattoo design. 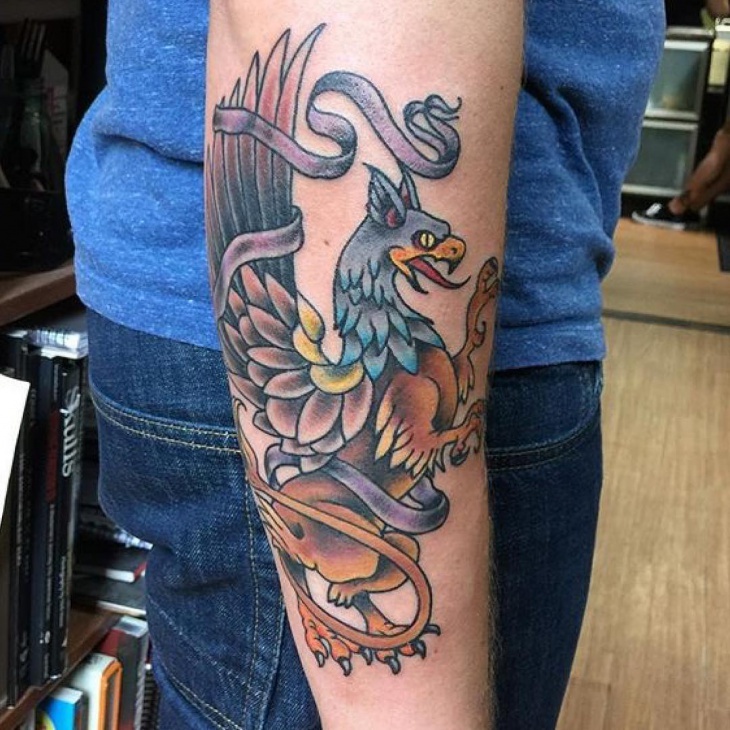 The cartoon-like tattoo is attractive, colorful, and portrays the fiery nature with the king-like characteristics of the griffin. 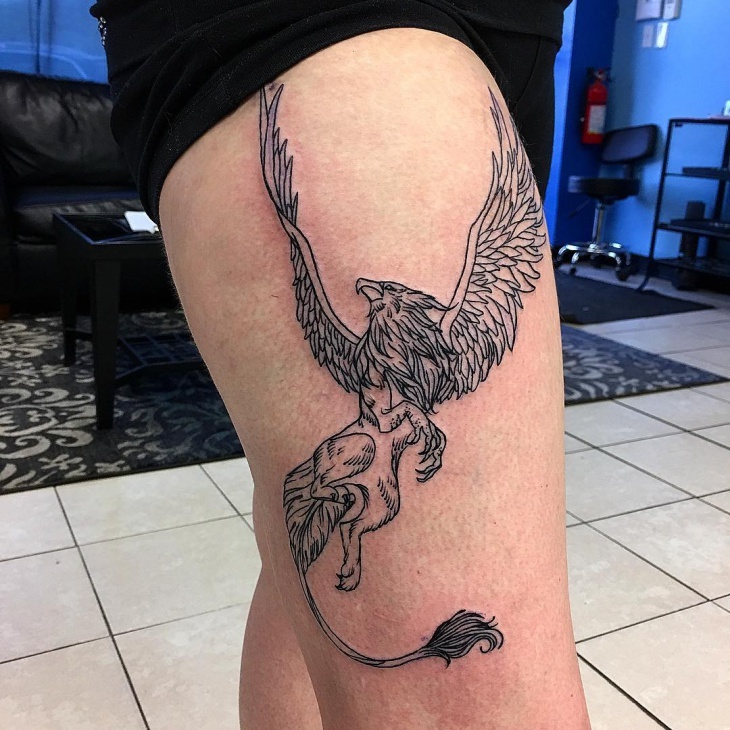 Like the previous one, this tattoo design also has cartoon-like form, but the difference is that this griffin tattoo is bolder and more enthralling. The colors are cold, and the ribbon around the griffin makes it different from the usual designs. If you plan on getting this tattoo, make sure your tattoo artist understands the impact these colors have the on this tattoo. Gothic tattoo designs tend to be somber and grim in appearance like this one. The stiff poise of this griffin shows its royal nature and powerful qualities. 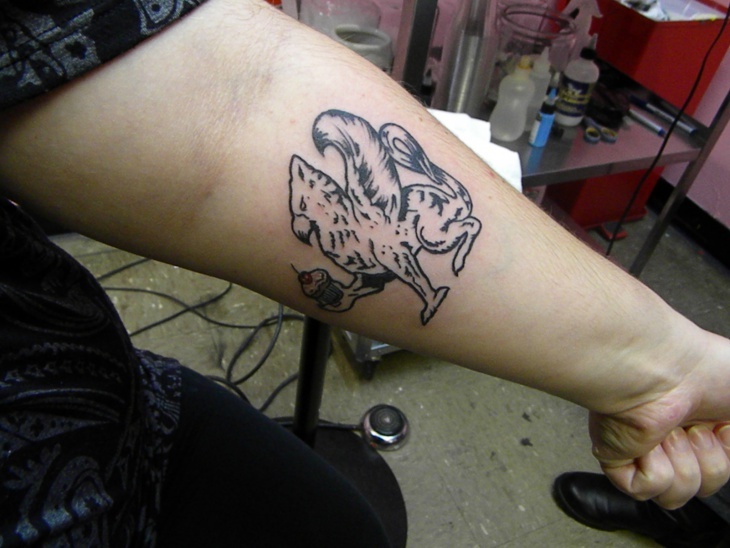 This fun griffin tattoo is comparatively less hard-looking than the other ones in this list. 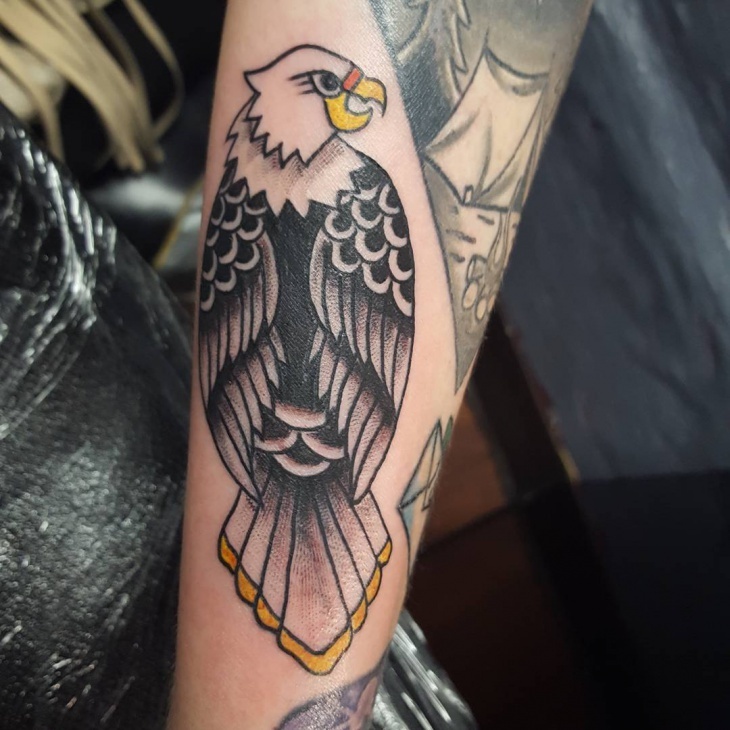 It is mostly an eagle, overall, but has tribal tattoo properties with a griffin tattoo look. The little patches of yellow and red on this black ink tattoo make it more eye-catching. 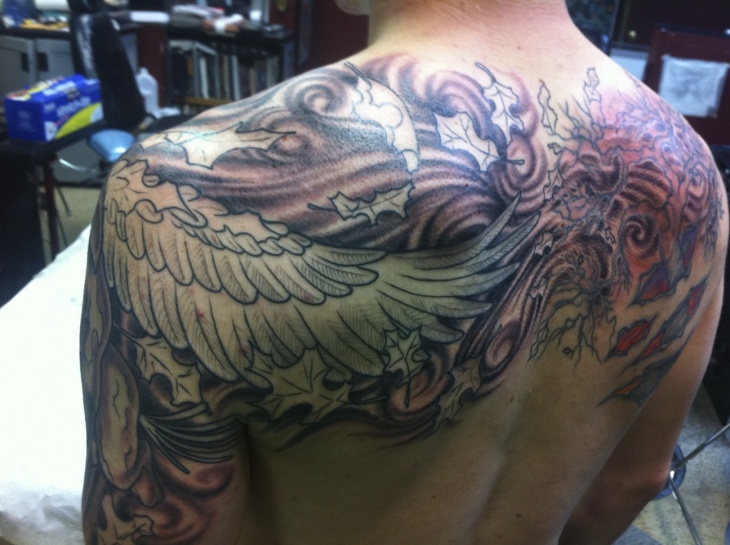 Many of the tattoos in this list are griffin tattoo designs with a hint of tribal tattoo designs. 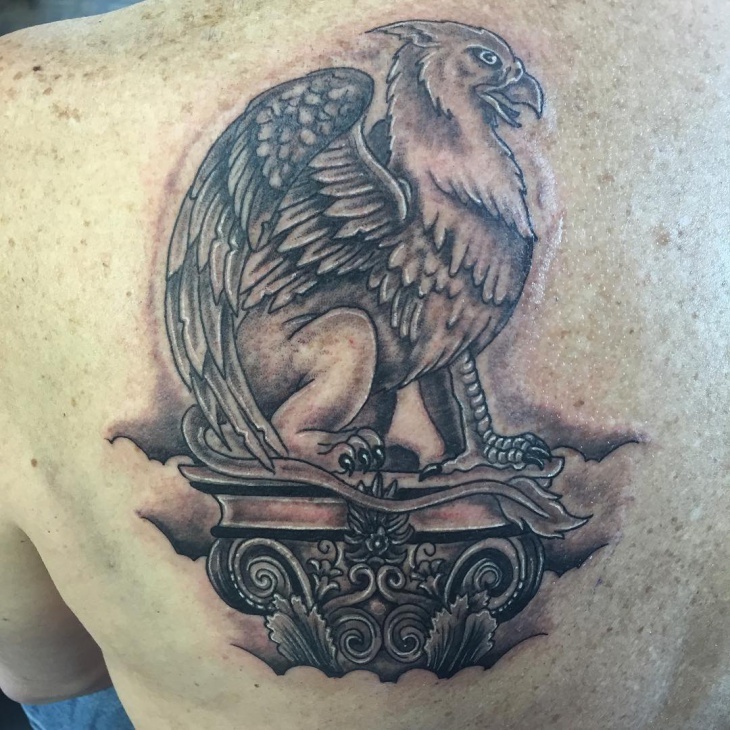 Polynesian tattoo designs are also common and popular as an addition to these griffin tattoo designs, but they are more detailed and intricate than these simple, sober tattoo designs.